Prof. Dr. Xiangming Chen is Professor of education and director of Center for Basic Education and Teacher Education at Graduate School of Education, Peking University, China. 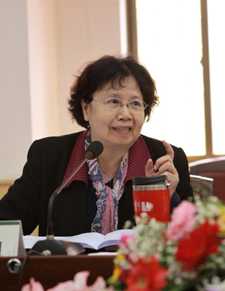 She obtained Bachelor of Arts degree in Human Normal University in 1982, Master of Arts degree from Beijing Normal University in 1987, and Master of Education and Ed. D. from Harvard University in 1989 and 1994 respectively. Since 1970, she has worked as factory worker, primary and secondary school teacher, and university professor at different periods of her life. She was a visiting professor in Oxford University in 1999, in Nagoya University of Japan in 2010, and in the National Institute of Education in Nanyang Technological University of Singapore in 2012. 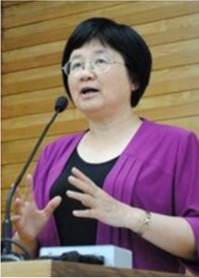 Prof. Chen’s major research areas include qualitative research methodology, teacher education, curriculum development, as well as learning and teaching. She has been team leader for more than 10 national and international research projects on education, especially basic education for poor rural areas in China. She has also worked as national consultant for many international organizations such as the World Bank, UNDP, and UK DFID. One of her major projects is participatory teacher training for the new basic education curriculum reform, which has made great impact on teacher training in China. She has also been leading a university-school collaborative research project on teachers’ practical knowledge, as the theoretical foundation for teacher professional development. By now Prof. Chen has published 10 books (including editing) and over 150 articles on education and research methodology. Prof. Chen has been teaching courses on qualitative research methods, teacher education, curriculum development and instruction for graduate students in Peking University and many other higher learning institutions as guest lecturer. She was rewarded the 1st Class Prize on Teaching in 2001 and Excellent in 2009 by Beijing Municipal government. In addition, Prof. Chen is serving on many committees, as adjunct professor of quite a few universities, and a member of the Standing Committee of Chinese Educational Association as well as many journals. This paper examines how student-teachers’ interactions with their school mentors impact their knowledge transformation and identity formation during their internship. “Student-teachers’ interactions with their mentors” refer to the times, lengths, contents, forms, intentions, attitudes, methods and atmosphere in their mentoring activities. “Knowledge transformation” refers to the change between student-teachers’ theoretical knowledge and practical knowledge, between their content knowledge and pedagogical knowledge, and between their explicit knowledge and tacit knowledge. “Identity formation” refers to their change in terms of their understanding of the teaching profession, their sense of belonging, self-efficacy and emotional attachment as prospective teachers. By using mixed methods in a three-year long project from 2011 to 2014 , this study surveyed more than 2000 student-teachers in different levels of teacher education institutions and schools in different economically-developed regions in China, as well as conducting in-depth analysis of over 40 cases through observations, interviews and document analysis. The evolution of the conceptual framework tapped into Western and Chinese theories such as action science, symbolic interactionalism, social constructivism, Ren (humanity仁) and Li (ritual礼), and Chinese interpersonal harmony and conflict, before developing its own on the impact of mentoring types on Chinese student-teachers’ learning. Four types of mentoring relationships are identified: positive promotion, negative impediment, positive impediment, negative promotion. Each type contains 1) contextual conditions concerning the school culture, the mentor’s intention and style, and the student-teacher’s attitude and depth of reflection, and 2) the learning results of the student-teachers with regard to their knowledge transformation and identity formation. Encompassing all the four types is the symbiotic relationship between the mentor and the student-teacher, manifested in the degree of their consensus on internship responsibilities, identification of the mentor’s ideology by the student-teacher, compatibility of the mentor’s style with the student-teacher’s needs, and interpersonal feelings (ren qing人情) as lubricant for smooth mentoring interaction. In conclusion, the findings are analyzed on micro and macro levels respectively. On the micro level, the learning outcomes of the student-teacher depend on the intention of both sides, as well as the manner and contents of the interaction. On the macro level, structural constraints such as a weak internship system with insufficient resources and incentives, coupled with Chinese cultural norms for interpersonal interactions are mediated by the student-teacher’s personal agency in seeking assistance, which, in certain cases, has entailed some reciprocal learning on both sides. F. Michael Connelly is Professor Emeritus, Ontario Institute for Studies in Education, University of Toronto and Honorary Professor Southwest University, Chongqing, PRC. He was Director of the Canada Project, Second International Science Study, International; Association for the Evaluation of Student Achievement, and Director of the Hong Kong Institute of Education/OISE/UT doctoral program. He wrote policy papers for the Science Teachers Association of Ontario, the Ontario Teachers Federation, the Ontario Ministry of Education, the Government of Egypt, the Queensland Education Authority, UNICEF, the World Bank, and The League of Arab States. He co-drafted the terms of reference for the Egyptian Professional Academy of Teachers, and was UNICEF consultant to The League of Arab States on pan-Arab teacher education and curriculum development. With Shijing Xu he is co-director of the Social Sciences and Humanities Research Council of Canada Partnership Project Grant “Reciprocal learning in teacher education and school education between Canada and China”. He is the Education Judge for The American Publishers Awards for Professional and Scholarly Excellence (PROSE) Book awards, given annually by the Professional & Scholarly Publishing Division of the Association of American Publishers. Reciprocal Learning might appear to be an intuitively straightforward concept. But there are significantly different models at work in the educational research and policy literature. Each of these models has far-reaching consequences for how research is framed and conducted. In this presentation three models are discussed: the traditional comparative model which is philosophically concerned with cultural differences in propositional knowledge (knowledge that) and action (knowledge how); the currently popular values laden comparative achievement/comparative values model concerned with best practices and their transfer from one culture to another; and the collaborative/partnership model concerned with common activity among educators from different cultures and what educators may learn from one another with respect to their personal practical knowledge which encompasses both knowledge how and knowledge that. This latter model provides the intellectual frame for the Partnership Project. These models are discussed in the context of specific cross-cultural educational issues, for instance, travelling concepts such as inquiry based learning and travelling teaching devices such as the Chinese Tangran and how to understand what happens to such concepts and devices as they move among educational cultures. With this background Reciprocal Learning is understood to be a nuanced concept with consequences for how research is conducted and for how learning relationships among two cultures are imagined. Stefan T Hopmann, since 2005 Professor of Comparative Education and History of Education at the University of Vienna, following similar appointments in Germany and Norway. Guest stays at universities e.g. in Denmark, Norway, Finland, Switzerland, and the US. General editor of the international Journal of Curriculum Studies. Member of the Editorial Board of the European Educational Research Journal and of the Journal of Educational Change. Invited keynotes at many national and international conferences (e.g. in China, Denmark, Germany, Sweden, Norway, and the US). Review and evaluation assignments for many national and international research associations (such as AERA, EERA), journals and universities. Since a doctoral dissertation on Curriculum Making as Administrative Action (Lehrplanarbeit als Verwaltungshandeln; Kiel 1988) involved in historical and comparative curriculum research, including comparative studies (Didaktik meets Curriculum, 1995ff. ; Achieving School Accountability in Practice, 2003ff.) as well as empirical research and national case studies. Currently leading a longitudinal study on policy based curriculum change in Austria (2010-2014). Comparisons have been used in the making of curriculum ever since the emergence of public schooling. Yet, nowadays in a “globalized” world, such arguments have gained an unprecedented influence on how we shape the curriculum, be it in a class room, in a school or a State committee. There are many different approaches to comparing curriculum, e.g. by comparing curriculum contents, comparative testing, or comparing teaching across places, cultures, subjects, time or whatever else one may want to focus upon. This paper will give a short introduction to comparing curriculum as a specific form of social practice, arguing that only by understanding why people who do curriculum do what they do can we really compare different ways of doing curriculum and so learn from each other. He holds a personal chair as a Professor of Education at the University of Auckland and is the Director of the Woolf Fisher Research Centre. He researches and publishes widely in areas of children’s literacy and language development and the design of effective educational programmes including models of large scale interventions with schools. He chairs and contributes to national bodies providing advice on educational policies, and has developed national educational assessments and resources. 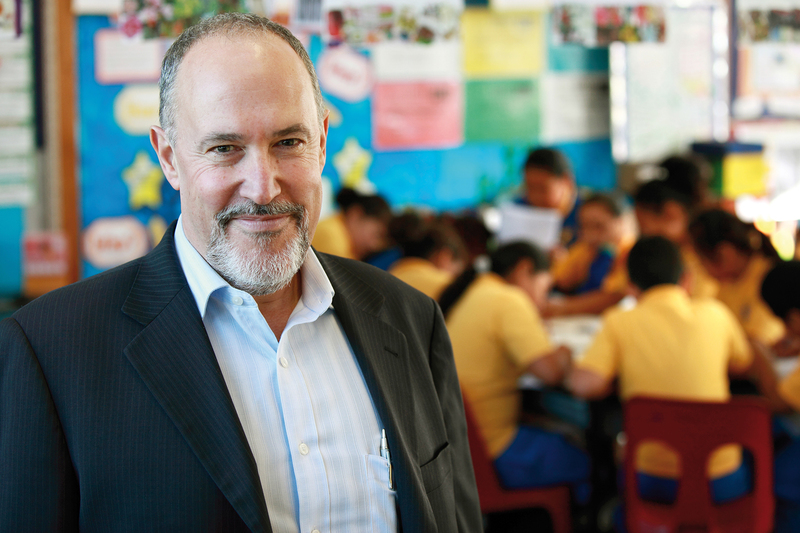 In 2014 he was appointed to the inaugural position of Chief Education Scientific Advisor to the New Zealand Ministry of Education. He consults on the design of curricula and educational interventions nationally and internationally. Academic recognition and responsibilities include membership of the International Reading Association’s Literacy Research Panel, and being inducted into the Reading Hall of Fame. Variability is ubiquitous in interventions and innovations in schools. The phenomena are apparent in outcomes as well as in the fidelity of the processes of change, and the spread of those changes. Rather than seeing variability necessarily as a problem, identifying, understanding and building on variability can enable more effective change processes and greater reliability in taking changes to scale. 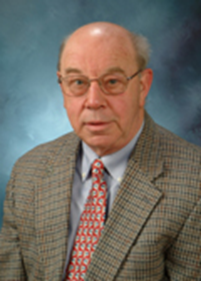 Ian Westbury is a professor emeritus of curriculum & instruction at the University of Illinois at Urbana-Champaign and is General Editor emeritus of the Journal of Curriculum Studies. He has worked on cross-national studies of school achievement, the German Didaktik tradition, and is currently completing a comparative study of state governance of the curriculum that draws on experiences in Finland, Germany, Norway, Switzerland, and the United States. He has been interested in China since teaching Chinese history at the University of Melbourne and is currently hosting groups of Chinese scholars and graduate students at the University of Illinois at Urbana-Champaign. 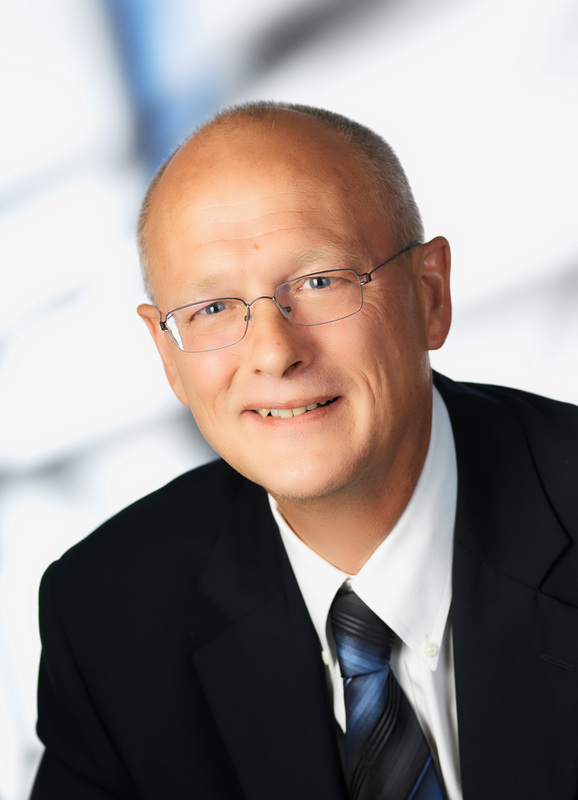 His doctorate is from the University of Alberta and he has an honorary doctorate from Åbo Akademi University in Finland. Education has a long history of borrowing from other systems. Usually the relationship is ‘colonial’, schools in other countries have what our schools do not — they are better than our schools and classrooms in patterns of teaching, outcomes (achievement), etc. The SSHRC Partnership Project with its emphasis on reciprocal learning is different. It assumes a learning relationship that is two-way. But how can that ideal be operationalized? Drawing on the resource of Alexander’s Culture and Pedagogy: International Comparisons in Primary Education (2001), I propose a series of collaborative compare-and-contrasts of classroom architecture, protocols for student teachers’ lesson plans, and videos of demonstration lessons. Alexander provides a preliminary framework for such studies. I will make a case for such school-based work within the partnership project. “New Basic Education Research” has covered four stages: Exploration Research (1994-1999), Development Research (1999-2004), Shape-Taking Research（2004-2009）and Root-taking Research (2009-2012). Now it has entered into the stage of Ecologically Promoting (2012-2015).This paper clarified the basic connotation, basic objectives, fundamental value and comprehensively promoting strategies of Ecologically Promoting Research. This stage has achieved initial results which realized the change from school-culture-updating to ecological district-culture-updating, and creating “new schooling life”.